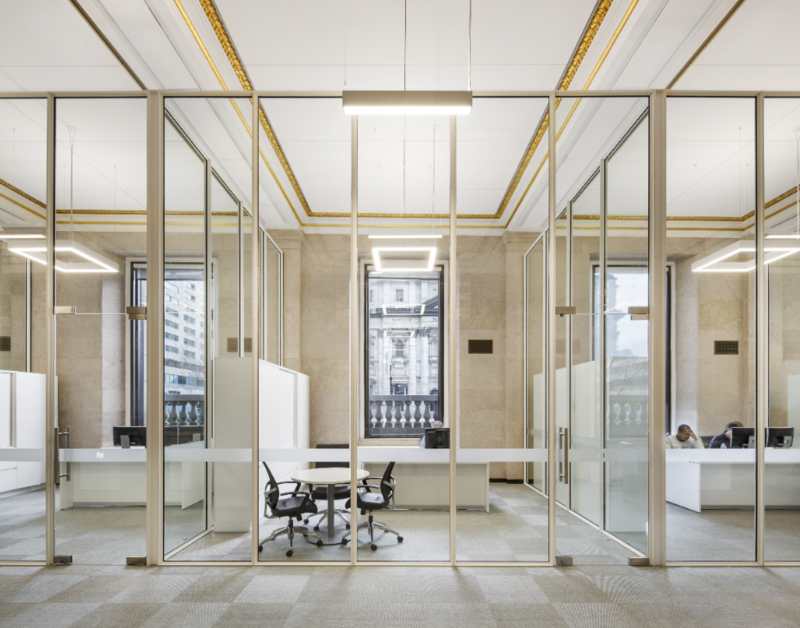 The National Bank of Canada unveiled its new trading floor in Montreal’s Sun Life Building towards the end of last year. The trading floor is the pulse of the bank, where traders complete transactions for the bank and its clients. It is the largest active trading floor in Quebec, Canada. 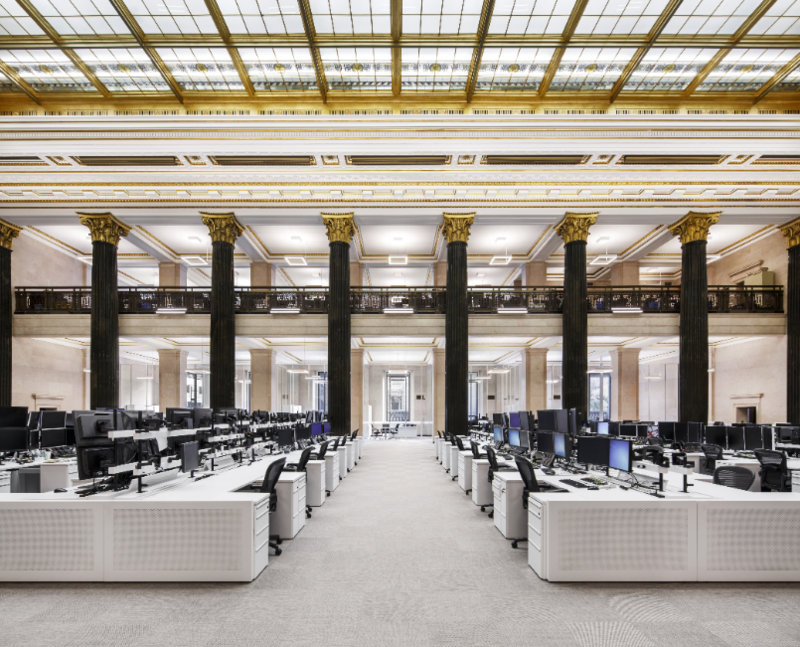 The trading floor has rich details such as marble cladding, columns, and a lavishly decorated ceiling and large skylight. Despite the impressive and exceptional décor of this heritage space, it was dark and uncomfortable for the traders to work in. The last time the trading floor of the bank had been renovated was two decades before and it was in desperate need of modernisation. The Montreal office of Architecture49 was appointed to re-imagine the space. The client wanted a well-lit, comfortable, technology modern space for its 256 traders and managers. The designers had to safeguard the integrity of the unique space at every stage of the design and construction. To highlight the room’s historic character, the designers opted for the targeted use of colours and textures. They set about cleaning and restoring the skylight before fitting it with energy efficient lighting fixtures. The revamped skylight now delivers ample light to the floor. Even at the very centre of the space, occupants can enjoy natural light thanks to new contemporary elements such as glass dividers for the private office spaces on the perimeter. The room’s acoustics were given special attention. This aspect of the interior design was tailored to allow traders to share the bustling open-concept space without being overwhelmed by the sounds around them. The original space, which was built in 1917, was returned to its rightful glory thanks to the enhancement and restoration of the ceiling details, columns and bronze railings. Full thanks and acknowledgement are given to www.v2com-newswire.com for some of the information in this article.